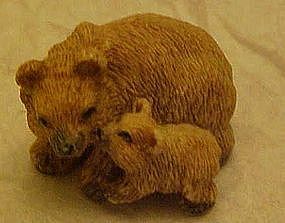 Cute little mama bear and baby miniature figurine. Measures just 3/4" tall and made from the sand cast material. nice condition with no chips or repairs.